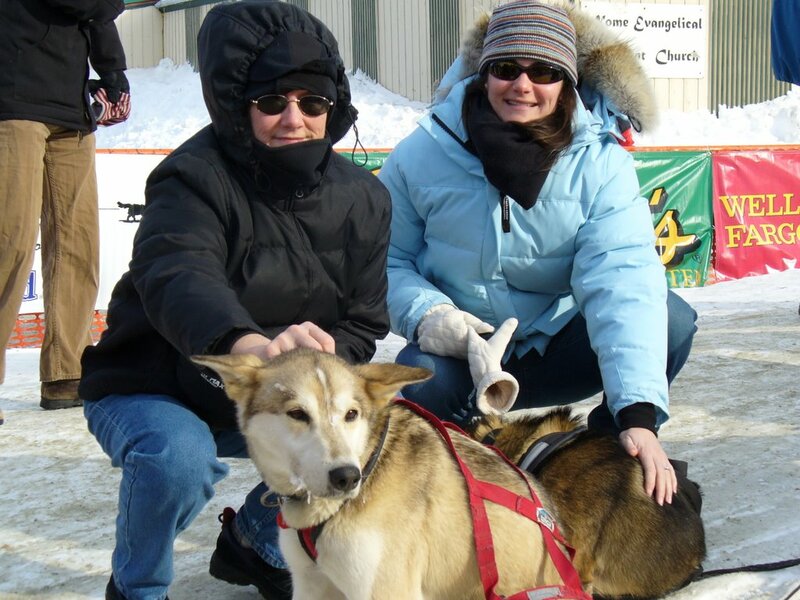 Here are some more pictures to cover the highlights of Mike and Robbi's trip to Alaska. Above: I had to put this picture up, just so everybody knows that it wasn't all just fun and games. While Mike and Robbi were here we had quite a storm. 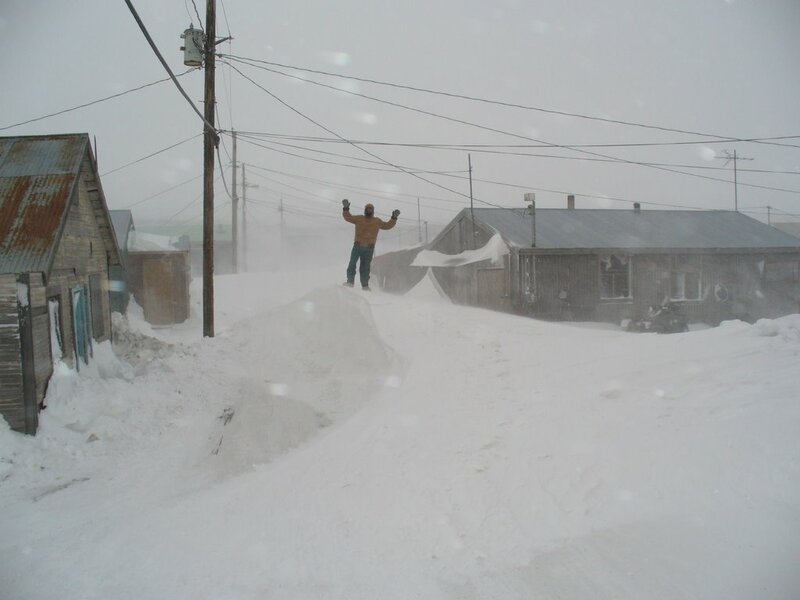 Snow is one thing, but adding wind can really complicate things and totally change a landscape. You can't tell, but this picture would normally show main street Stebbins. Luckily though, this storm only lasted a couple of days. 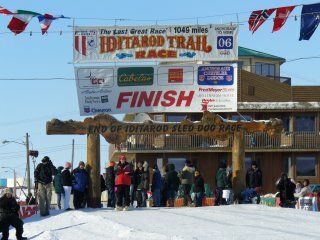 We passed the time by playing pinochle, watching movies, and preparing/ consuming large meals. 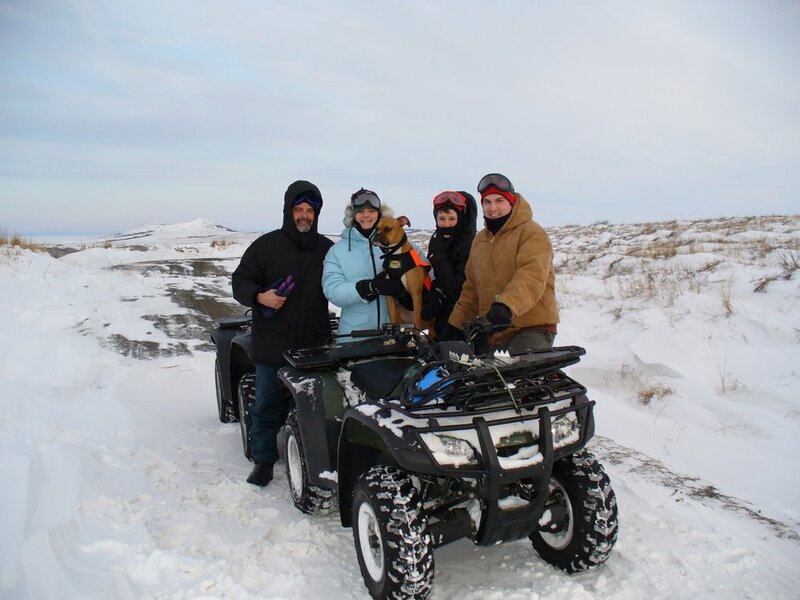 Below: When the wind and snow died down we were actually able to enjoy being outside. 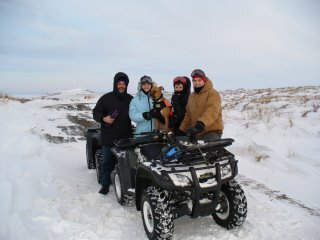 We went on a long Honda ride/walk with Nick and Janna. I was able to test out my new snowshoes (notice them strapped to the front of the Honda). 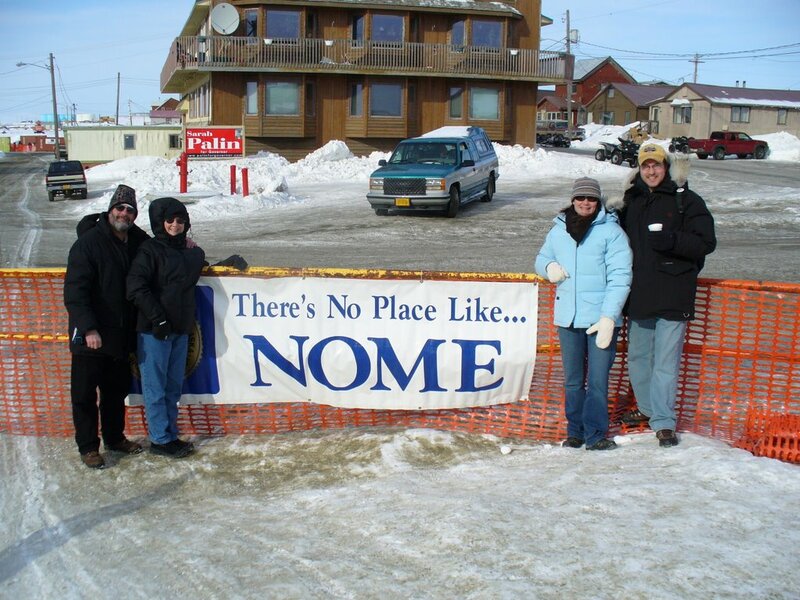 Above: We went to Nome for the Iditarod and had a blast. We had a lot of fun exploring the town and eating at restaurants. We even went to a couple movies at the theater. Heidi and I were living it up in the big city, while Mike and Robbi were still getting used to how small it was. Below: Our stay in Nome matched with the arrival of the bulk of the mushers. 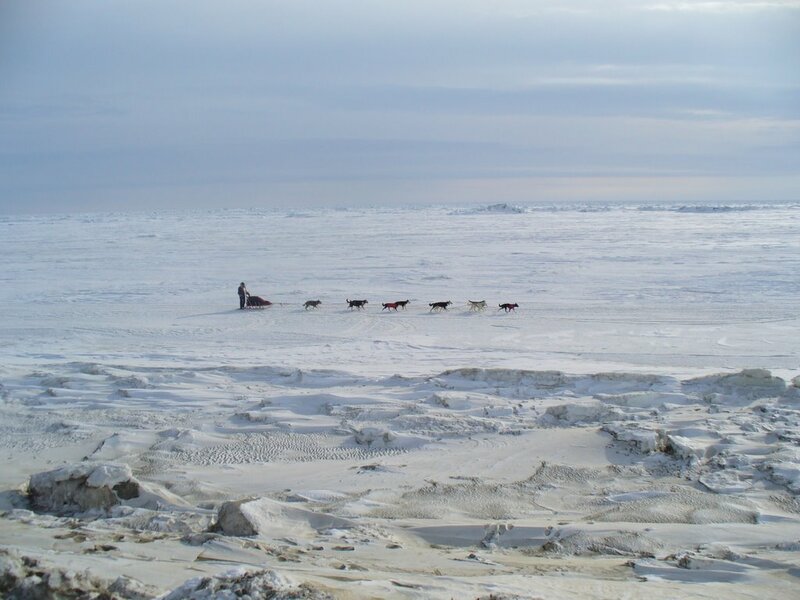 Every time a musher was approaching a siren sounded, and everyone would stop what they were doing and go out to meet them. 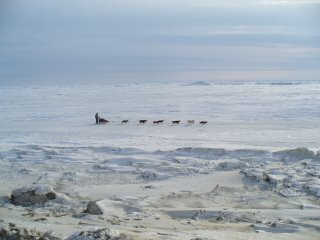 Mushers came in day or night. Above: After traveling over 1000 miles these dogs were tired, and they would literally fall asleep as soon as they crossed the finish line. It was funny to watch them try to stay awake. Their eyes would slowly close, their heads would nod, and then they would catch themselves (it reminded me of some of my students during first period). 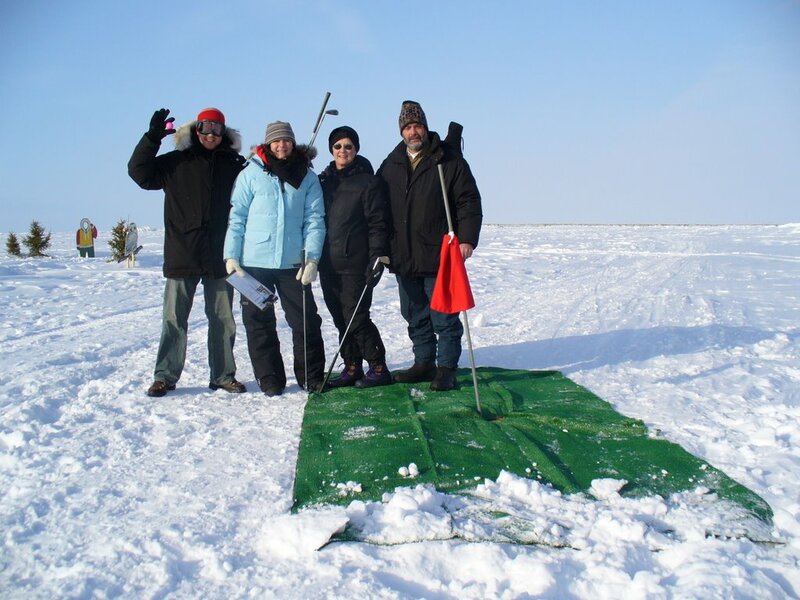 Above: 23rd Annual Bering Sea Lions Club Eliot Staples Ice Golf Classic on the Bering Sea. Six holes, below freezing, on the frozen ocean; it was one of the highlights of the trip.